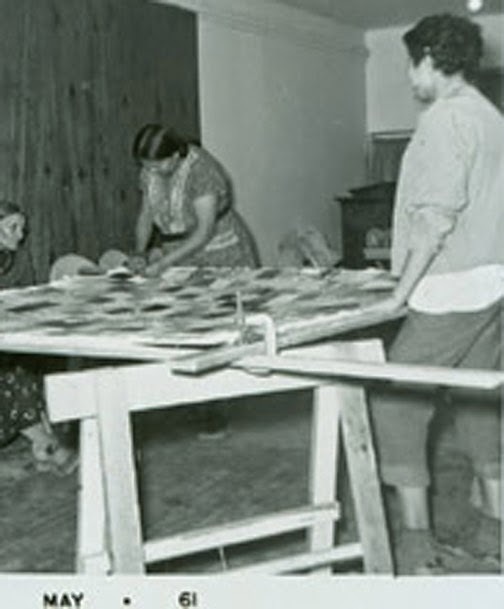 Last week I showed pictures of traditional quilt frames and how they were propped up parallel to the ground. 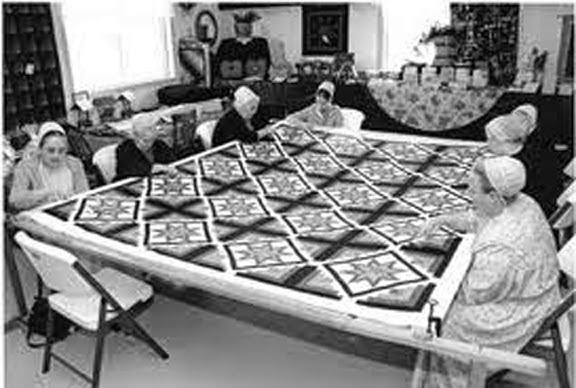 The four boards that support the quilt were not permanently joined together. be C Clamps as in the above photo from Canada about 1900. C Clamps are adjustable hardware that looks like the letter C.
or handmade as in these wooden clamps. borders that the quilt is extended out as far as it goes. quilt in a C clamped frame. solution to the space problem, a smaller footprint as we'd say today. Saginaw, Michigan, perhaps about 1950. Does anybody quilt standing up? ladder-back chairs so they can lower the frame. I wonder about the authenticity of this staged photo. 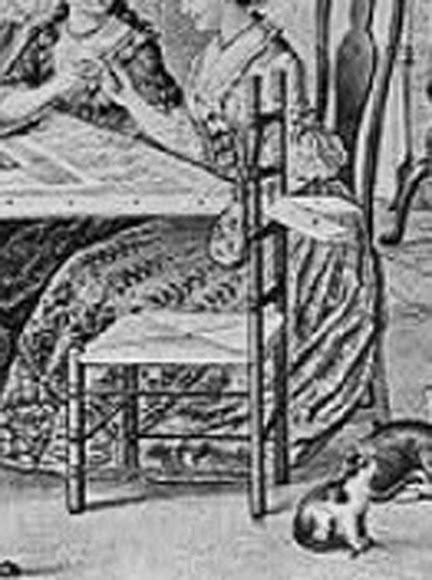 The history of manufactured C-clamps is as vague to me as the history of sawhorses. 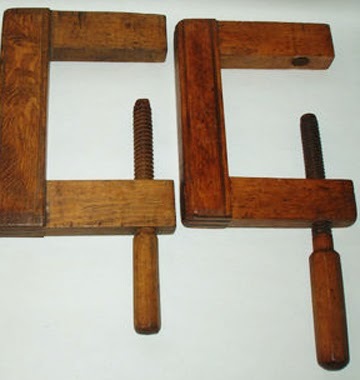 You might want to do a little hardware study to see what the typical C-clamp looked like in 1863.
with the same string or strips that fix the quilt to the frame. This might be a good solution if you don't have 4 period C-clamps. I also see regularly spaced holes in the boards above. 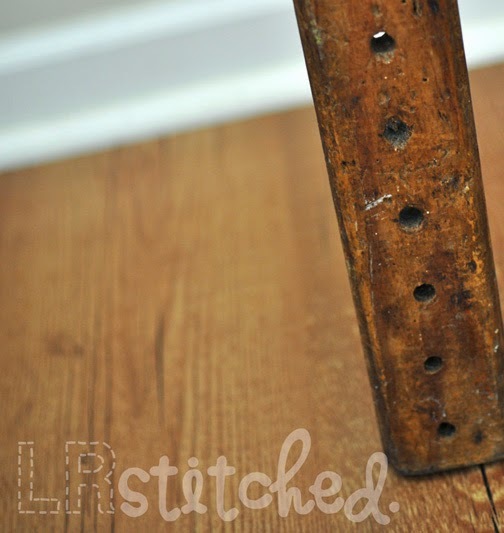 I have an old frame like this with holes down the middle of the boards. 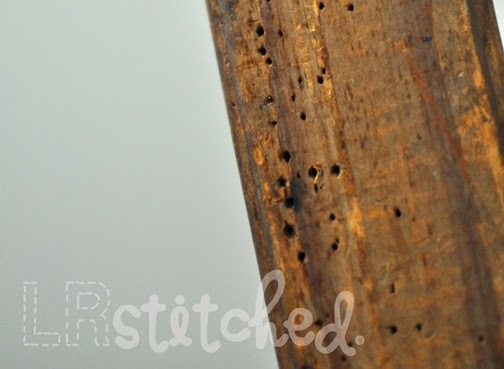 frame from the ceiling with rope through the holes. The holes might intended for pegs. 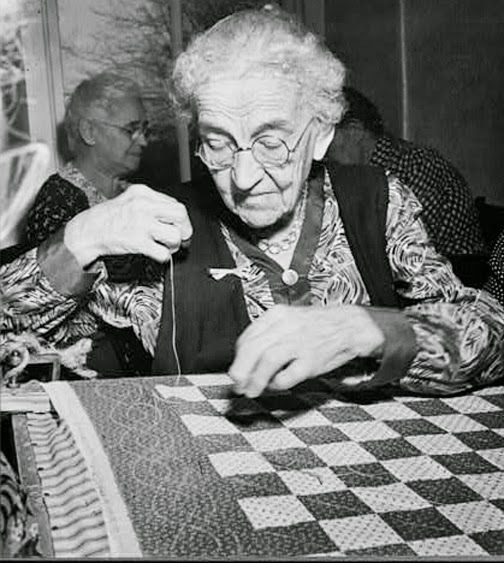 You'd line up the holes and peg them together as you rolled the quilt up. (purse) hanging from the chair? will be laced to the frame and the quilt as the frame is extended and re-pegged. 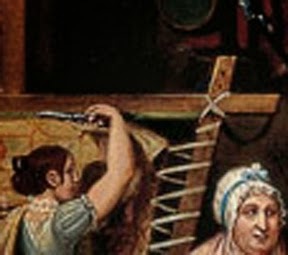 Again in Florida, women peg a frame together. 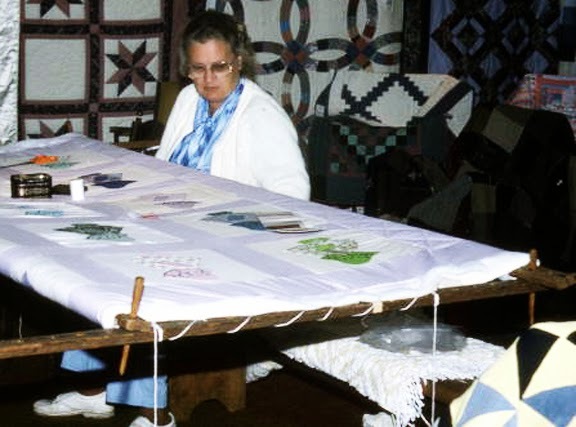 a variety of traditional quilting frames. 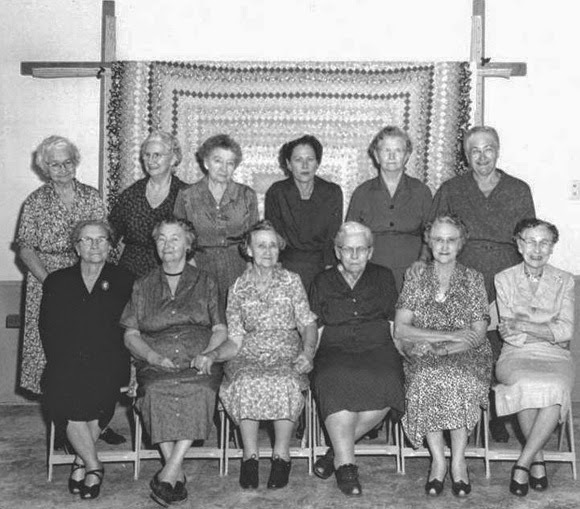 Search for "Quilt" on their site. the holes are very irregular. held the fabric that held the quilt to the frame. 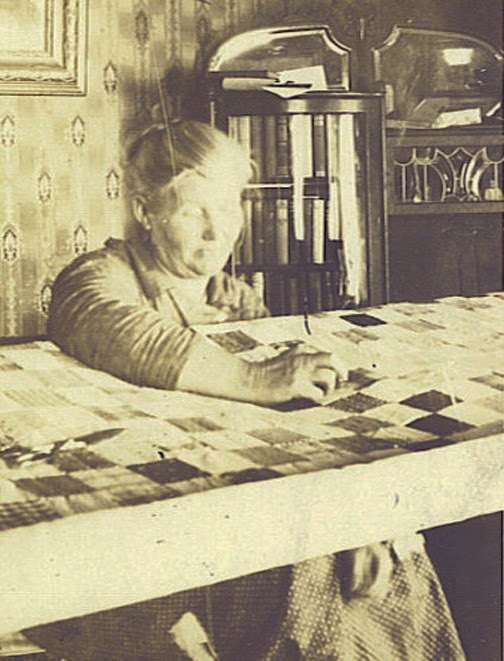 You wouldn't want to tack the actual quilt or backing to the frame, but you'd tack a sturdy piece of fabric like the ticking in the above mid-20th century of quilters in Lititz, Pennsylvania. 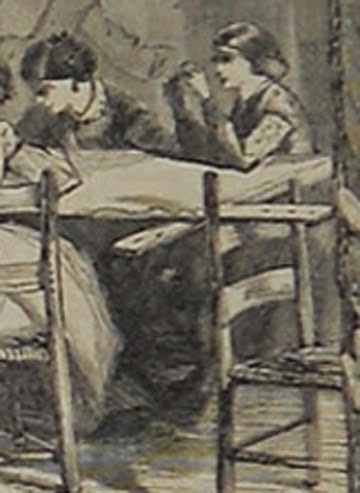 The quilt is pinned or basted to the striped ticking. 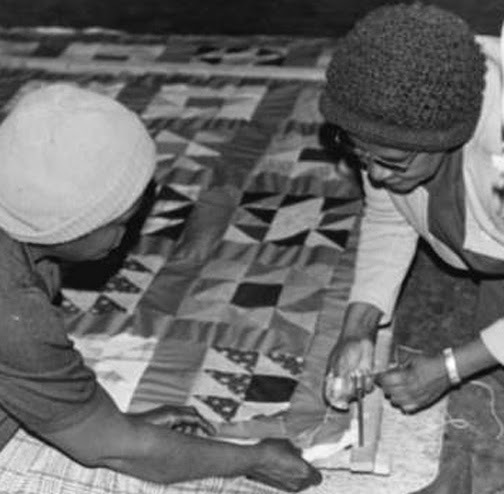 to support the quilt, rather than tacking the sturdy cloth to the frame. 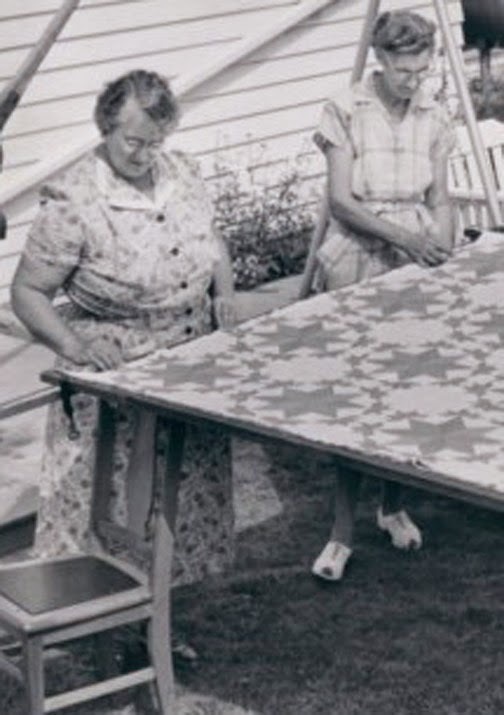 but they are tying or tacking the piece rather than quilting it. And don't even think about a hoop. It's a 20th-century idea. Oh my, that was a walk down memory lane. 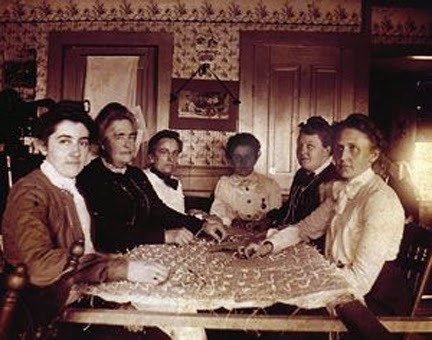 I remember my great grandmother's frame with the holes in the wooden frame and she would change the peg position as she was quilting. She did tack it too with little black nails. I've asked her why did she hammered down those funny looking nails and she said "So the quit will behave". Boy! didn't that put a rod in my back and I was on my best behavior for the rest of the day LOL. She passed away in 1975, she was 92 years old. Thanks for the research. This is very interesting. 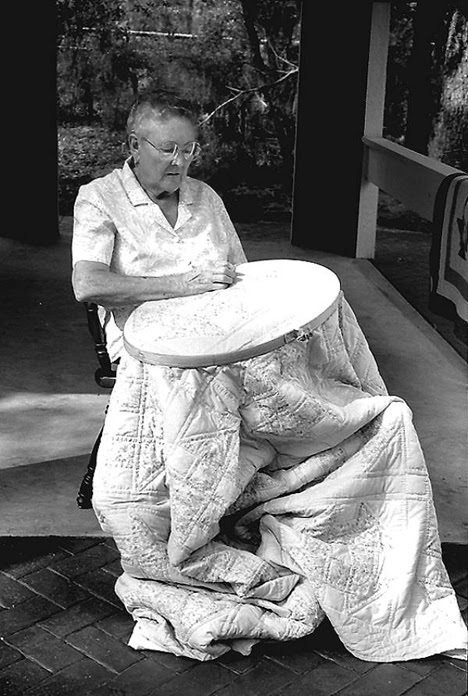 I have never hand quilted in a group setting on one quilt, so I find all this very interesting how they frame the quilts up compared to me just using my hoop. It is interesting how they kept the frames together with clamps, would be nice to have wood that you could change out for different sizes. I have seem threaded frames, you see them a lot with canadian rug hooking. Thanks for this very interesting post. The board with all the fine holes could be bugs holes. 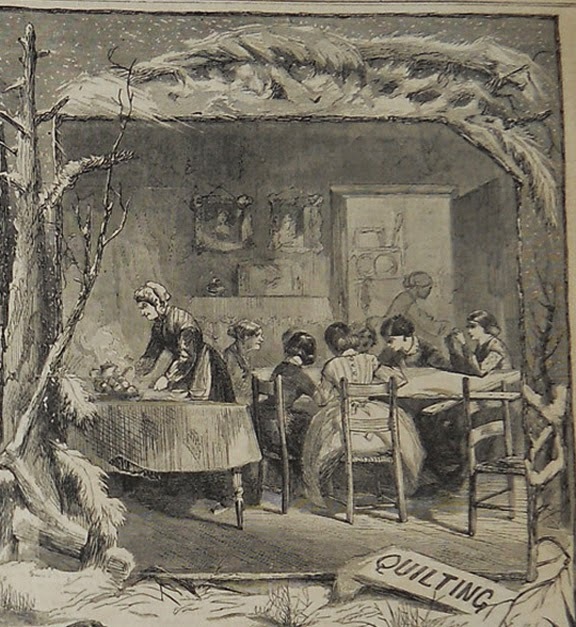 There should be a book on the history of quilting and frames. I can see why my mother add leaders to her already leaders on the frames to her quilt. 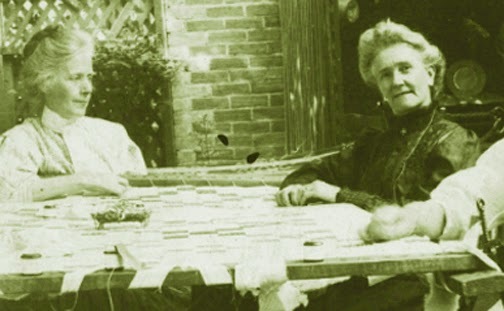 Only you have to be straight as you roll the quilt or the quilt can have problems. The added leader piece on the side helps with longarm quilting. I forget to do it. I do do it I pin each time the leader to the edge and then clamp the clamp and Velcro string to the edge of my HQ16 frames. I inherited my grandmother's frame like those pictured and still use it! Mom couldn't find the wooden pegs when we cleaned out the old house, so I use C-clamps that my other grandmother used on the corners now. Mom said they did actually tack the lining (backing) fabric to the frame pulling out the tacks as they rolled what had been quilted. 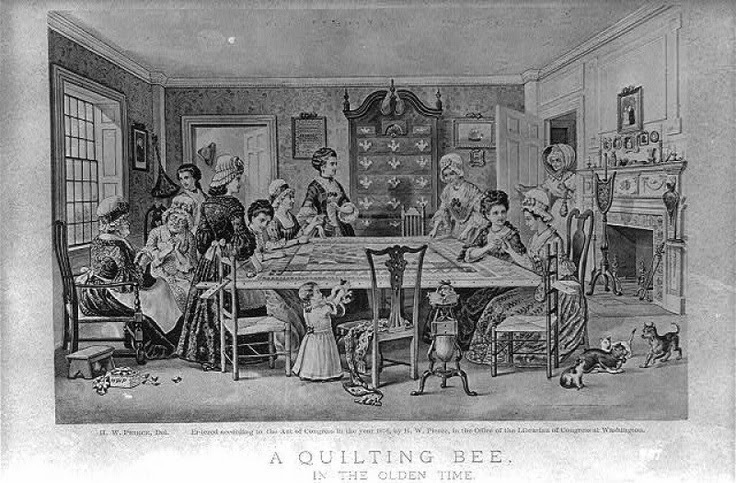 AND when using a frame like, those pictured, quilters started at one side and worked toward its opposite, NOT from the center outward. One starts in the middle when using a hoop in the lap. I do have several different lengths so I can do baby quilts with ease or a large quilt. excatement pareil comme ceux çi! I have some old c-clamps !